World specialists in public health, limnology, freshwater ecology, biodiversity and conservation biology will converge in the country for the 2nd Philippine Symposium on Freshwater Biodiversity and Ecosystems (PSFBE) on December 11 to 14, 2018 in the Institute of Biology, UP Diliman. The key resource speakers are: Executive Vice President of the University of the Philippines and former Philippine Health Undersecretary Teodoro Herbosa; John Morse of Clemson University, South Carolina; Karl Wantzen of Université François Rabelais, Tours, France; Tamar Zohary of Israel Oceanographic and Limnology Research; Noboru Okuda of the Research Institute for Humanity and Nature, Japan; Darren Yeo of the National University of Singapore; Junjiro Negishi of Hokkaido University, Japan; and, Rey Donne Papa of the University of Santo Tomas. Other experts and researchers will present their work in parallel sessions and posters. There will also be a visit to Lake Pandin, one of seven maar lakes in San Pablo City, Laguna; and, interaction with women’s groups actively involved in the protection and conservation of the lake. 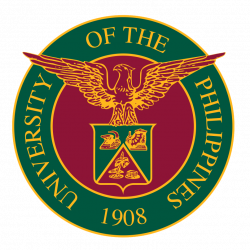 The University of the Philippines, through the Institute of Biology, is organizing the event together with: the University of Santo Tomas (UST), the Ateneo de Manila University, the Laguna Lake Development Authority, the Department of Agriculture-National Fisheries Research and Development Institute, the Department of Environment and Natural Resources-Biodiversity Management Bureau, the Association of Systematic Biologists of the Philippines, and, USAID Philippines, in cooperation with The International Society of Limnology. The first symposium was held in UST in 2016, attracting limnologists, environmentalists, professional organizations, professors, science teachers, and graduate and undergraduate students in the country and in Southeast Asia. According to organizers, the symposium answers the call to update knowledge on protection, conservation, and management of freshwater ecosystems, which are overwhelmingly rich and endemic. “Lakes and rivers are sources of economically valuable goods and services to society, including clean drinking water and water for industrial purposes, irrigation, recreation, power generation, and transportation,” they added. However, freshwater biodiversity is fragile and freshwater ecosystems face multiple stressors associated with human population growth, natural resource overexploitation, and climate change. Interested parties may contact the 2018 PSFBE Secretariat at telephone number 981-8500 local 3728; at [email protected]; or visit www.psfs.org.ph.